Mold in homes causes numerous problems. 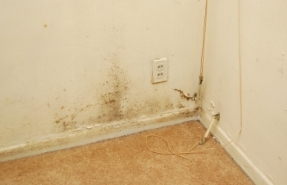 House mold problems go beyond an unpleasant smell or unsightly stains on carpets, walls or ceilings. No one wants those things in their home, of course, but mold also contributes to a number of health problems, some quite serious. Health issues due to mold problems include all sorts of respiratory problems, such as asthma attacks, even the development of asthma in people that previously showed no signs of the condition, chronic sinus infections, sore throats, runny noses, watery eyes and coughing. Other common health problems related to mold include headaches, fatigue and depression. Young children, elderly people, people with respiratory problems like asthma or emphysema, and people with disorders of the immune system are more susceptible to health problems related to household mold but even healthy adults can be affected. Some people think toxic molds cause these kinds of health problems but the Centers for Disease Control and Prevention reports that toxic molds are very rare. Some types of molds produce toxins but most do not. However, they can still cause health problems even if they are not toxic. Chances are you know it if you have house mold problems. You’ll see and/or smell the mold. However, you can call in a specialist to test for the presence of mold. If you believe you are suffering health problems related to mold in your home, and you have a specialist come in to clean up the mold or you attempt to clean it up yourself, you should have a test for mold done after the cleanup has been completed to make sure all mold has been removed. Just because all visible mold has been removed, that does not mean your problem is gone. If even trace amounts of mold are left behind, your house mold problems will continue. You can purchase a test for mold in homes that you can perform yourself, but we really encourage you to have a specialist come in and perform a test for you. Their tests will be much more accurate than the tests you can buy yourself, and they will be able to advise you about the best way to clean up your house mold problems. If you have home owner’s insurance, your policy may pay for a test for mold in your home. You can follow this link if you would like to get a list of Professional Mold Testers in your area. Cleaning up mold in homes poses many problems. If you don’t get it all, any health problems you’re experiencing will continue or even get worse. Cleaning mold from your shower tiles may be fairly easy, but cleaning mold from porous surfaces like wooden wall studs, insulation, carpeting and drywall is much more difficult. Some surfaces cannot be cleaned and must be removed and replaced instead. Not only is it possible to miss a bit of mold while doing the cleanup, it’s even possible to spread some mold around to other parts of the house while trying to clean mold up. For instance, if you carry contaminated carpeting or insulation through the house to throw it out, mold spores can be deposited elsewhere in the house. Mold spores can also cling to the clothing of the people cleaning up and then be deposited elsewhere in the house as they walk through the house. You can probably avoid these problems by hiring a qualified professional to clean up the mold in your home. As we said before, you should also have a test for mold after the cleanup has been completed to make sure all of it is gone. They know how to locate mold in places where many homeowners miss it, including inside walls and inside heating and air conditioning ducts. They also know how to remove mold from those hard-to-access spots, and have the equipment needed to do the job. 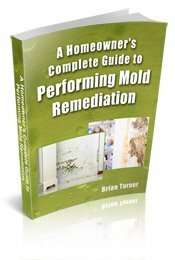 They know the best techniques for treating different types of mold. A consultation is free, and you can get valuable tips that will help even if you decide to tackle the mold removal job yourself. If you’d like to schedule a free consultation with a Mold Removal Specialist in your area, just follow the link. Household mold is a very common problem. You can follow these links for more information on where does mold grow, home mold inspection, house mold removal and mold prevention. Removing mold can be very difficult especially bathroom mold that has penetrated drywall. Mold on wood often needs to be sanded and this should only be done by a professional. To learn about mold resistant drywall, follow the link. When hiring a mold tester, make sure they have a mold certification, and references for jobs similar to yours. For more information about mold including how to eliminate mold for good, follow the links.